Heart’s Medicine Doctors Oath is the latest addition to GameHouse’s Heart’s Medicine series on Android and iOS. This time around, you will be following medical intern Allison Heart as she overcomes obstacles to becoming a full-fledged doctor. On the surface, the game looks like any other time management game filled with multiple levels that you need to complete. Patients walk in and you need to attend to each of them before they get upset and ask some other doctor for help. The gameplay, however, is much more engaging. It is not just a matter of tapping different points on the screen to get the patient where he wants to go. 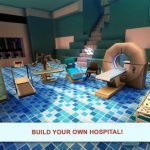 There will be various minigames to juggle with each patient as you administer treatment. Things start out easy, but it quickly becomes hectic as more patients come in needing different types of treatment. 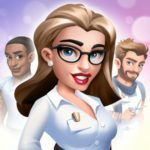 Check out our Heart’s Medicine Doctors Oath tips, cheats and strategies if you want to help Allison become a successful doctor! When you are dealing with sick and injured people, time is of the essence. The same is true in Heart’s Medicine Doctors Oath. Each patient you get will have a set of hearts above their head. The hearts disappear gradually as they wait to be attended to. When they run out of hearts, they will get upset and another doctor will swoop in to take care of them. That means you will not be able to earn any points from that patient anymore. Another reason to work fast when dealing with patients is to get their hearts to turn gold. Golden hearts no longer deteriorate over time. That means you will be able to make them wait as much as you want, and they will still give you full points. It is a good idea to get a customer to gold as soon as possible. You can then move on to the next patient right away while the previous one behaves. Juggling multiple patients isn’t the only reason for you to get their hearts to gold right away. Even after treatment, non-gold patients will continue to lose hearts if they have not been checked out. You want to line up as many patients at the checkout counter as possible. Checking out multiple patients at once will give you a combo bonus. You earn more points this way, allowing you to fill up your stars quickly. Try to stack a lot patients before checkout and watch the stars fly across the screen. At the beginning of each stage, you will be presented with a challenge. You will be able to successfully complete a level without meeting the challenge, but it is better if you do. Challenges reward you with bonuses, including Diamonds, the game’s premium currency. If you have no plans of spending real money on the game, it is best if you take advantage of every opportunity to earn a few extra Diamonds. Challenges vary in each level. In some levels you will be asked to get a Quick bonus a number of times. Other challenges will require you to earn a certain number of hearts. You can keep track of your challenge progress on the indicator at the top right of the screen. Oliver is your pet guinea pig. He often escapes from his cage and pops in while you are working. That means he will appear somewhere on the screen while you are playing. You will need to be vigilant because he is small and can be easy to miss. Every stage will have Oliver in it, but the location will be different each time. Finding Oliver will give you bonus points that will help you fill up those level stars. After you complete the tutorial levels in Heart’s Medicine Doctors Oath, you will start seeing an ad offer button at the end of each stage. Tap on it and a short video advertisement will play. After viewing the ad, your score will be doubled. While doubling your score does not really help you earn additional hearts or currency, it does help you hit a new high score. It also helps you fill up stars in case you weren’t able to get them all during you run. Remember, it costs 20 energy to play a level. You can’t really be wasting your limited energy trying to replay the same stage over and over. Doubling your score with a short ad is sometimes just what you need to seal the deal. We have been talking about raising your score and filling up stars for a while now, so you are probably wondering what they are for. When you look at the main map of the game, you will notice that some areas are locked. Even if you manage to make it to those areas, you will not be able to play any of the levels without unlocking them first. That’s where stars come in. Each new area requires a number of stars. If you failed to gather those stars in previous stages, you can just replay them until you have what you need. Stars are filled up depending on the score you earn on each level. At the end of each level, you will be given a summary of the stars you earned as well as the number of points you are lacking before you can get the next star. It is possible to get all five stars in a single run. The good news, however, is that even if you fail to get all of them, you will be able to continue filling up the same star on your next try. Allison may be the intern who is trying to make it to graduation day, but you don’t have to worry as much as she does. As a player, you can’t really fail a stage. Even if leave the game idle after starting a stage and all the patients lose their hearts, you still won’t fail the stage. You will just miss out on the opportunity to earn stars or hearts, but that’s it. In the same sense, you can’t really lose all your patients unless you try very hard to ignore all of them. Even after the shift ends, they will continue to wait for you no matter how long the line gets outside of the clinic. On top of that, the patients waiting outside will not start losing hearts until they enter the door. That means you should not give up even if you fumble a bit. If you have too many things going on inside the clinic, just sacrifice one patient to hold the door. Let him lose his hearts in order to buy yourself time to get everything else done before the next patients come in. This way, you won’t be wasting the energy you spend to start that stage and still manage to get some hearts and stars out of it. If you look at the main map, you will notice certain nodes with puzzle pieces in them. Tap on it to see the list of tasks you need to complete in order to earn each puzzle piece. When you complete all of them, you will be able to put them all together to create a picture. The full picture will unlock a hidden story scene that will give you more insight into the characters of the game. On top of that, you also get bonus Diamonds in the process. Always check the different puzzle nodes before moving on to the next level, so you know which tasks to aim for. The map shows the flow of the main story with a path that is clearly thicker than any other line. Going through the levels on this thick path will allow you to follow Allison’s story. While you might be excited to watch the drama unfold, it is actually better if you take time to complete the extra levels as soon as they are available. Extra levels are smaller paths that veer away from the main line. They include stages that have different rules compared to the main game. For example, the first extra level will have you playing a whack-a-mole round with Oliver in it. 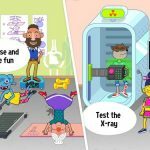 Another extra level will give you an unlimited number of patients within a time limit. These extra levels also have their own challenges that you can complete. That means you get to earn additional hearts, stars, and Diamonds by completing them. That means you can purchase more upgrades before moving on to the next part of the story. Boosters get unlocked as you level up in Heart’s Medicine Doctors Oath. There are six types of boosters in the game with varying levels of usefulness. You get free boosters from time to time, but they are consumable, so it is best if you hold on to them until you actually need them. Once you run out of boosters, the only way to get more is by spending Diamonds, and that’s really not what you want to spend your premium currency on. 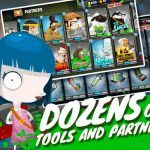 Avoid using any boosters within the first 20 levels of the game. You will especially need the Super Speed, Goldifier, and Extra Minigame Time in the more advanced levels when you are struggling to keep up with the demands. Hearts are used to unlock upgrades from the shop. You can purchase new workstations or improve existing ones. The price of each upgrade varies, depending on the effect. Before you go on a shopping spree, make sure you consider what you really need. For example, the upgrade for increasing the maximum number of item slots costs a whopping 600 hearts, but do you really need it? Earlier stages are easily completed with the default number of slots as long as you manage your time well. The cheaper upgrades available, however, will help you earn more hearts in each stage. It would be wiser to invest in those upgrades until you actually need to expand or add more stations. On the main map, you will see small nodes that look like decorations. The first one is a small tree and it costs 10 Diamonds to unlock. Don’t be afraid to shell out that 10 Diamonds because that tree will actually generate hearts over time. Since you will be needing a lot of hearts in order to keep progressing through the levels, it is better if you unlock these heart generators as soon as you gain access to them. Once you have unlocked heart generators, you will see how many hearts you have gathered over time at the bottom of the screen. Tap on the button to claim the hearts you have earned. Make it a habit to claim it often even if it isn’t full yet. The heart generators have a starting maximum capacity of 50 hearts. That means all the additional hearts get wasted if the generator sits at full capacity. You can increase the capacity but that would cost you no less than 100 Diamonds. That’s a whole lot of Diamonds to throw away when you could just be diligent in collecting the hearts! Diamond customers are unlocked when your reach level 3. Tap on the Diamond customer button on the bottom of the screen and one will appear on the next level you play. Make sure you keep an eye out for that Diamond customer in your next stage. They are usually demanding and impatient, but if you manage to get them to a golden heart, you will be rewarded with Diamonds. After you complete the next level, the Diamond customer button will go on cooldown for four hours. Set an alarm and don’t forget to return after four hours in order to maximize the number of Diamond customers you get each day. As you play through the levels, you will earn player experience. This will increase your overall level indicated by the number on the bottom left corner of the main screen. The game gives you several rewards whenever you level up, including new upgrades and Diamonds. The rewards are not automatically given out, though. You might not even notice you have leveled up. That is why it is important that you regularly check that number at the bottom of your screen. If you see that you have leveled up, tap on the number in order to claim your rewards. Help Allison achieve her dream of becoming a doctor in Heart’s Medicine Doctors Oath! Follow our tips, cheats and strategies above if you want to beat all the levels!